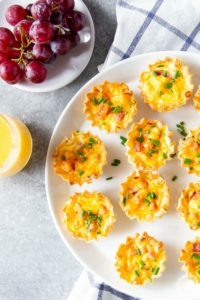 This Mini Ham Cheddar Quiche recipe is so easy to make and sure to be a hit on your brunch or breakfast table. All you need is ham, cheese, eggs, dijon mustard, heavy cream and flaky phyllo cups. This quick, easy and elegant Asparagus Ricotta Lemon Tart is the perfect welcome to spring! 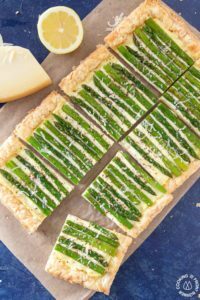 Impress your family and friends with this lemony, ricotta and parmesan filling nestled in puffed pastry that is topped with roasted asparagus! 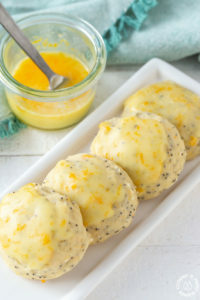 These cake-like Orange Almond Ricotta Cookies are so light, moist and come together in a snap. 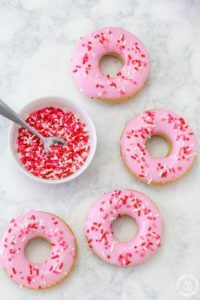 The orange zest provides great flavor in both the cookie and the glaze! 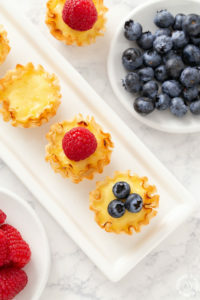 If you are looking for a quick and easy dessert, these Lemon Ricotta Mini Tarts are sure to be at the top of the list! 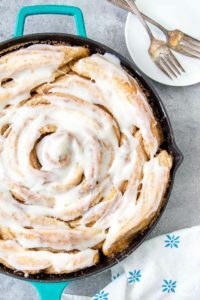 They can be made, served and enjoyed in about 30 minutes! 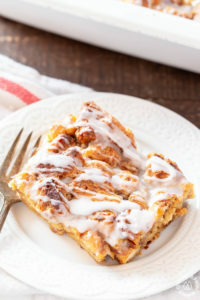 This Cinnamon Roll Bread Pudding is a delicious treat that can be enjoyed for breakfast or any time of the day. Besides being so easy to make, everyone will come running to the kitchen when they get a whiff of the tantalizing aroma while baking! I hope you have saved room on your cookie plate for these Cranberry Orange Spice Cookies. 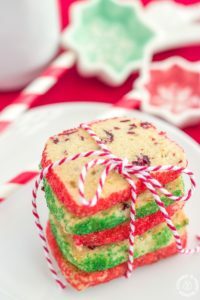 These shortbread type cookies are bursting with crystallized ginger, dried cranberries and fresh orange peel. 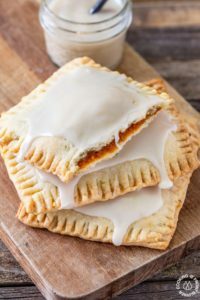 These homemade Pumpkin Pie Pop Tarts are a delicious breakfast or dessert treat! The flaky crust is stuffed with a creamy pumpkin filling and topped with a maple glaze. 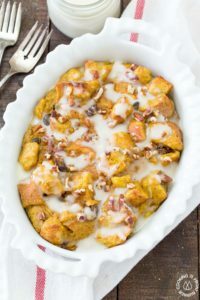 This quick and easy Pumpkin Spice Bread Pudding is sure to become a fall favorite! You will love the custard texture, crunchy pecans, and tangy dried cranberries that is topped with a creamy maple glaze.